Coding music on a Raspberry Pi with Sonic Pi has quickly become a great way to learn programming concepts and to pump out some thumping beats. Last year I worked with Dr Sam Aaron, live coder and academic at the University of Cambridge, to teach KS3 pupils text-based programming on Raspberry Pis as part of their ICT & Computing lessons. Since then Sonic Pi has proved incredibly popular in classrooms worldwide. The scheme of work we used is available for free in the ‘Teach’ section of our resources for any educator wanting to teach computer programming in a fun way. Since our classroom collaboration, Sam has been busy working on Sonic Pi version 2.0 and together we have been wowing attendees of Picademy with the potential of Sonic Pi for the classroom. 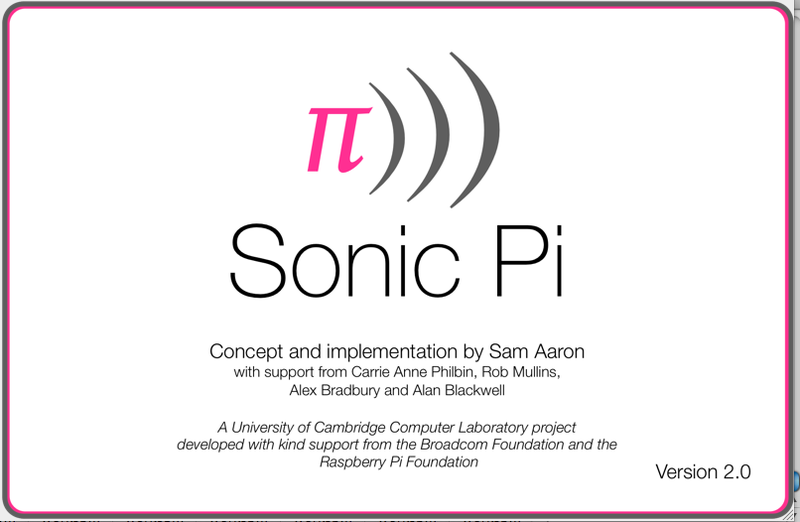 We have also been working on Sonic Pi: Live & Coding, a digital research project to turn a Raspberry Pi into a musical instrument with Sonic Pi, working with schools, artists, academics and the Cambridge Junction, which will culminate in a Sonic Pi: Live & Coding Summit this November. In fact, this week at the Cambridge Junction, 60 children have been participating in the project, having coding music battles, and jamming with musicians. Push Sam’s buttons and watch his eyes pop at Sonic Pi Live and Coding! To coincide with the summit, we will be launching a Sonic Pi: Live & Coding competition in September to find the best original sonic pi composition created by a child or young person in three age categories. We will have a significant number of Raspberry Pis to give away at random for those who take part, and the semi-finalists of the competition will be invited to perform their original work live at the summit in November in front of an audience and panel of judges to potentially be crowned the first ever Sonic Pi Competition winner! So what are you waiting for? 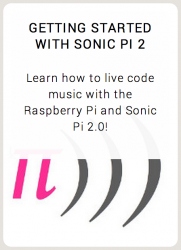 Download Sonic Pi version 2 for your Raspberry Pi by following these instructions, and then take a look at the Sonic Pi 2 article by Sam in the MagPi magazine, and our new Sonic Pi Version 2 Getting Started resource. Take this opportunity to practice and get a head start on the competition! 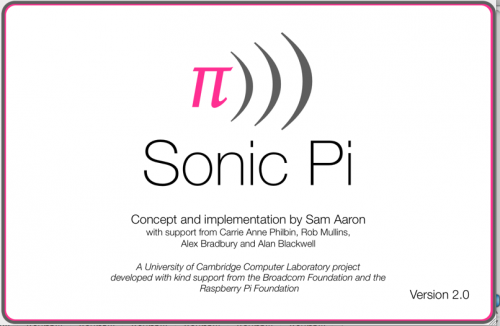 Get your practice in for the Sonic Pi version 2 competition with our new resource. Heh, I see (hear?) what you did there. Sonic-Pi 2.0 is very impressive. It loaded but failed to run on a Rev1 Model B – does it need 512MB to run? I am running it on a Rev2 B now and it is looking good! What’s the upper age limit for entering this competition?